LMAC Photography loves when brides and grooms have fun with their bridal party during photo time. This photo is from the beautiful wedding of Elizabeth and John. 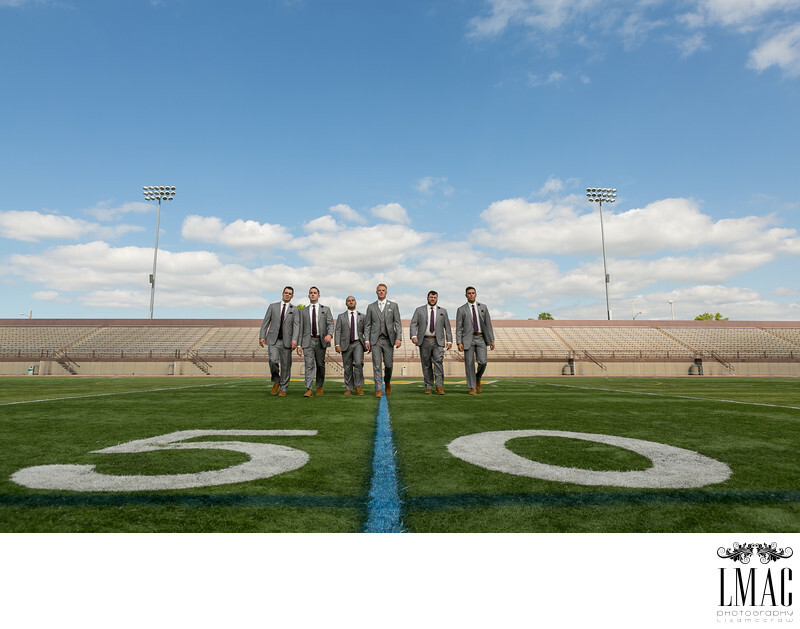 John is a football coach along with a graduate of Baldwin Wallace College so it was a no brainer that this bride and groom would select the football stadium of Baldwin Wallace to do their bridal party photos. It was a beautiful day in NE Ohio to match this beautiful wedding. John and Elizabeth also selected downtown Cleveland in the popular E4th area to do a few more bridal party photos. Location: 141 E Bagley Rd, Berea, OH 44017.